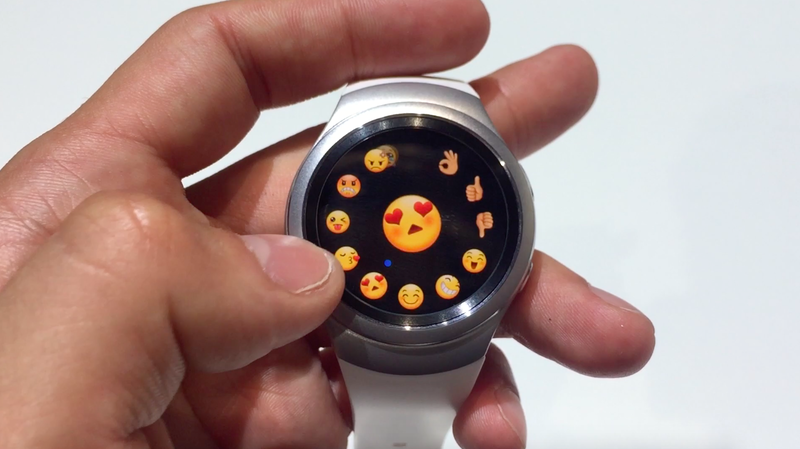 Since the international show of the IFA in Berlin, the smartwatch of South Korean giant unleashes the passions on the internet. And there is what when you see a watch also well made, both in terms of design and features. 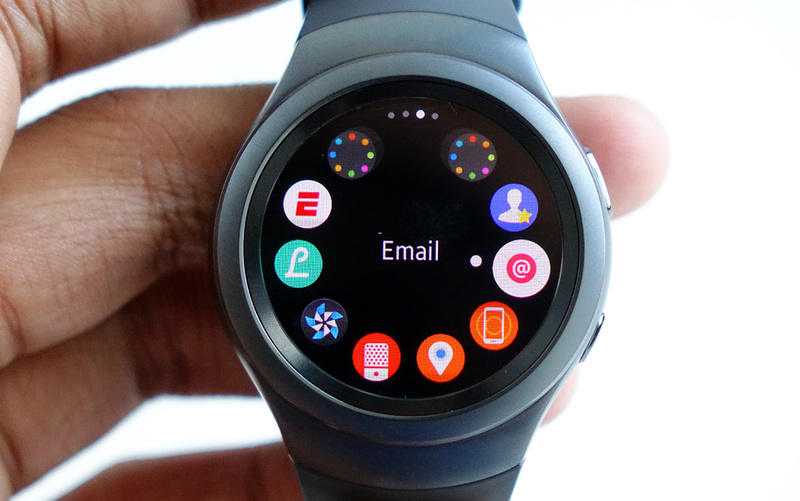 Note especially that the rotary screen of the Samsung Gear S2 has still met nowhere in competition. It also offers an AMOLED screen of 1.2 inch, 4 GB storage, 512 MB of RAM, a dual-core processor, WiFi of course, Wireless charging, and finally the NFC (Near Field Communication) technology which is already a lot about her. On this last point, Samsung recalls on its internet site that the NFC is not available everywhere. Price : 349 euros, 379 euros for the classic version. Samsung plays in sobriety with a box round, probably a reminder to watch circular screen, containing the device accompanied by his induction charger. A good nice packaging. The Samsung S2 Gear is beautiful. Finally, especially the classic version. She has very little, see definitely no visual defects. Is somewhat less the case of his colleague ‘sport’. Although a sport version must be adapted to physical exercise, but silicone bracelets have an effect a little cheap. Another criticism: the disappearance of the notches on the dial. A minimal change of course, but which visually changes a lot of things. What’s more, one of the strengths of this scalloped dial is ergonomics. This is stupid, but the grip is much better. Suddenly, this version for athletes won all the votes instead of the Samsung S2 Classic Gear that is simply superb. Count 349 euros for the sport, and 379 for the classic version. The pleasant surprise is that the two aircraft will be delivered with two bracelets, “Small” and “Large” to suit purposes like thick wrists. What bracelets themselves, know that it is possible to change. 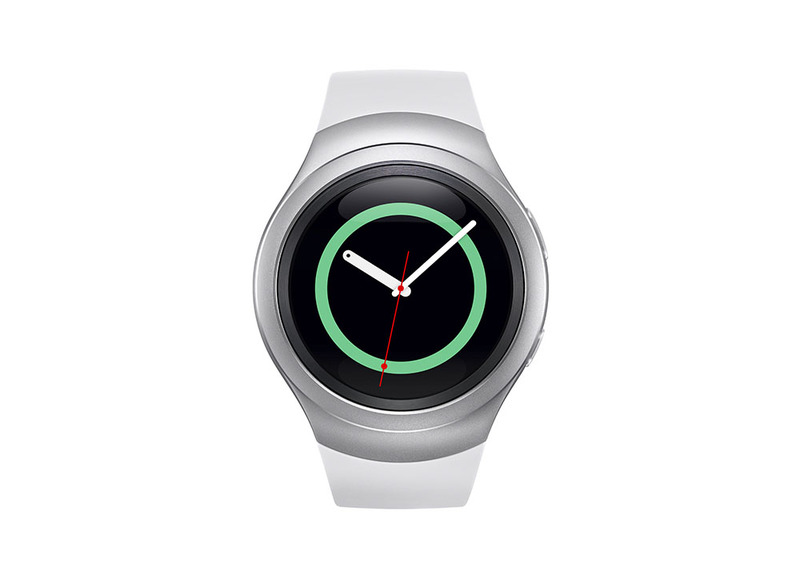 This will be returned to you at 39 euros for a sport band and 59 for a classic. 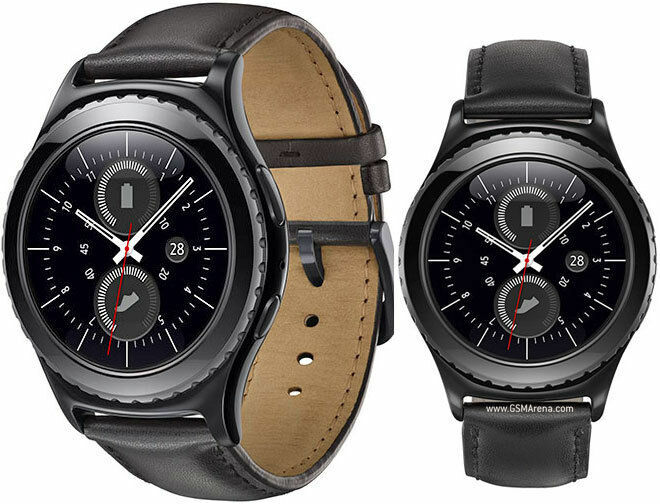 However, the sport version requires a bracelet owner while the Gear classic S2 can adapt to all types of bracelets. In other words, no need to go to Samsung. Why only one of the two? Mystery. If smartphones are growing with time, connected them, watch shrink. The device, which is much smaller than the competition, yet get a screen with a similar resolution. The pixel density is improved, for the delight of your eyes. We already commended Huawei for its screen, I must say that Samsung is also very strong. 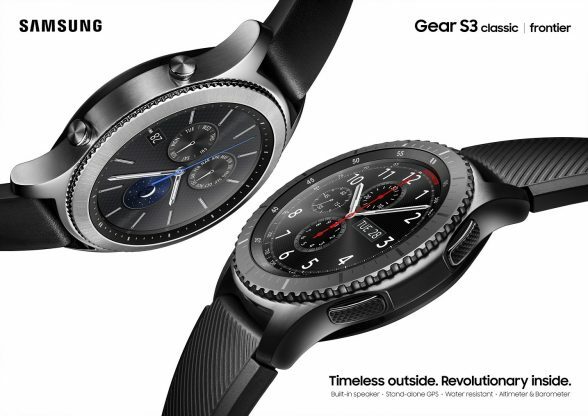 Even if it is not really comparable, we put beside the Gear S2 with the first bike 360 and we see that the path did! 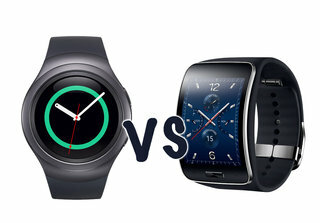 Tizen, bone House of Samsung is both the strength and the weakness of the watch. Because if it allows very simple quality performance and navigation in the menus, this OS has a major flaw: it is sorely lacking content. 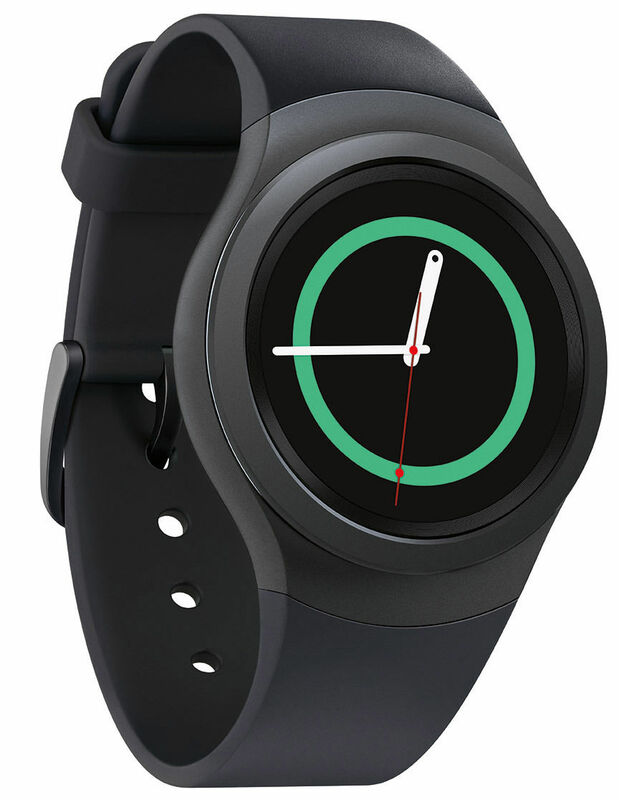 Where Android Wear begins to integrate a number of applications, this is not yet the case of Tizen. So it will settle the range of apps “S”, specific to the manufacturer for all of the features of health, voice memo, etc…. 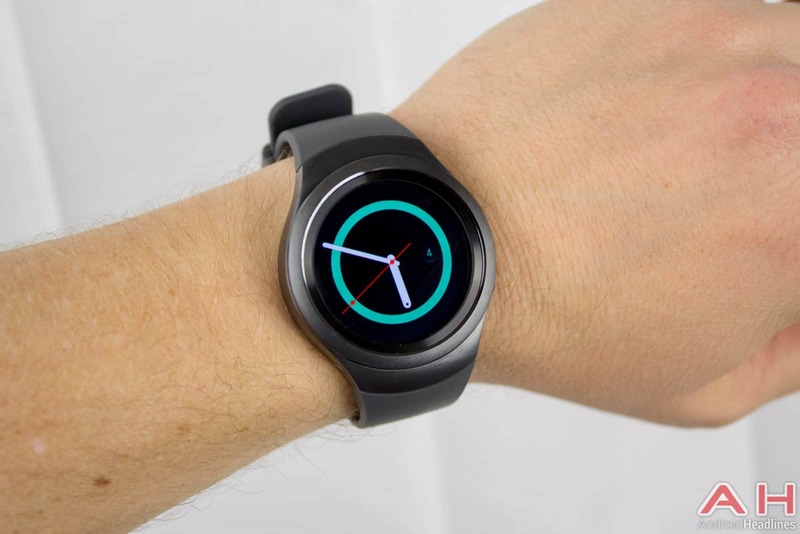 However, a smartwatch is precisely intended to transfer the benefits of the smartphone on the wrist. 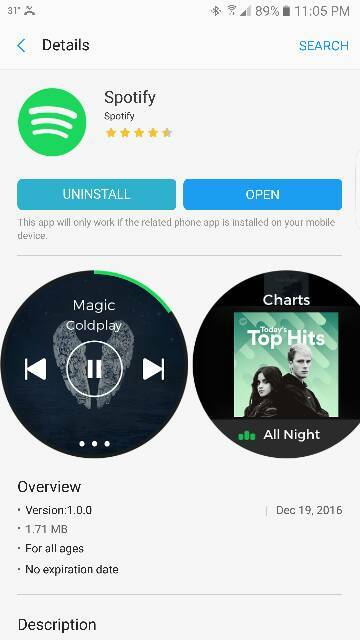 Moreover, Tizen will ask you to go through a good phase of customizing notifications and the general operation of the watch before you can enjoy. Indeed, many notifications are blocked by default. Other features would have been welcome as for example a speaker or a GPS. The same for the 3G which is not available in France where the idea of a watch with SIM is struggling to make his way. Positive point: the NFC is to go with the Samsung Pay, where the competition leaves this feature which has many advantages. Another important point of the Watch: its autonomy. 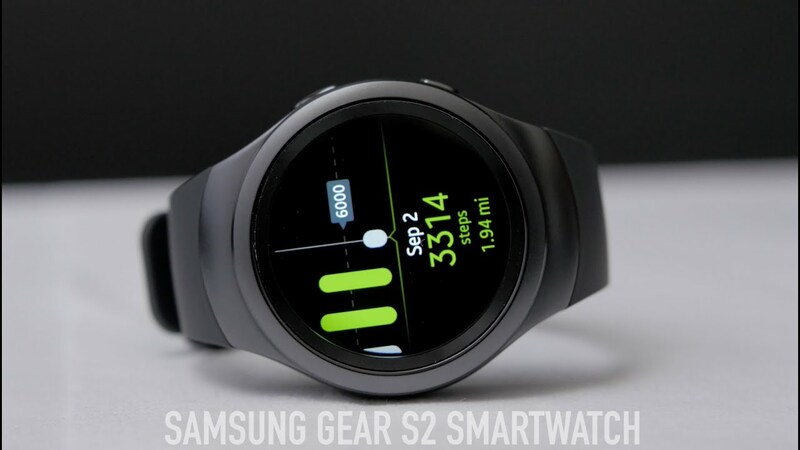 The company announced that its Gear S2 could take 2-3 days between each recharge in normal use. A figure which seems a bit optimistic and yet is confirmed by the tests. If the battery is too low, a battery life mode has been designed so that automatically display goes black and white. For those who still doubt the water resistance of the watch, we refer you to video subtitled test that should dispel all doubts. But if needed you more proof, here it is: a wise user decided to splash his watch in an aquarium , and as promised, it continues to operate. 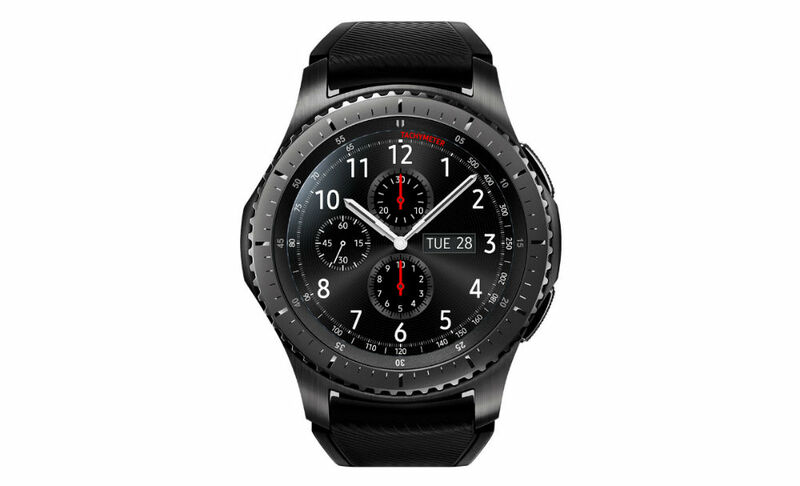 Sad news for all of you who were waiting for the arrival in October next models of the new watch to Samsung. One of them will not be marketed in Europe at the moment. 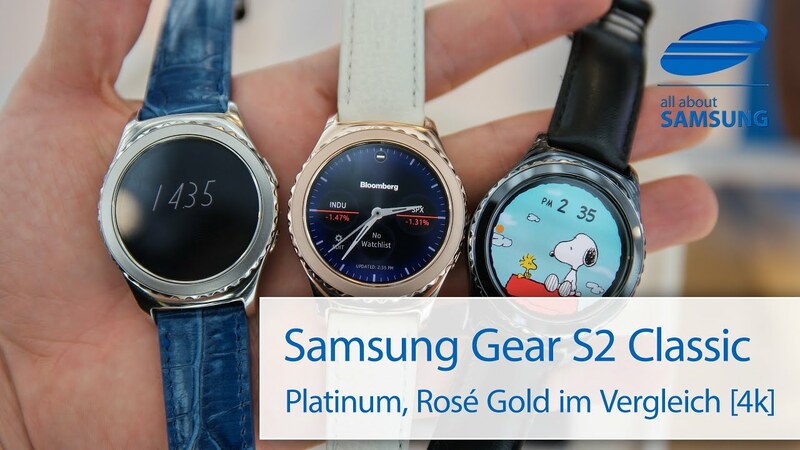 It is not a choice of the Korean giant, but a small network with Samsung Gear S2 3 G compatibility with Nokia, says Picktrue.com. In theory the connected watch seem simple to use, if not always easy, especially when we’re still novice in terms of connected objects. Don’t worry, Samsung turned downright the tutorials available on YouTube. Five videos very well explained from ‘ How to use the touch screen ‘ to ‘ How to take calls and messages‘. ” No effort to do, the videos are available in French, English, Spanish or German. 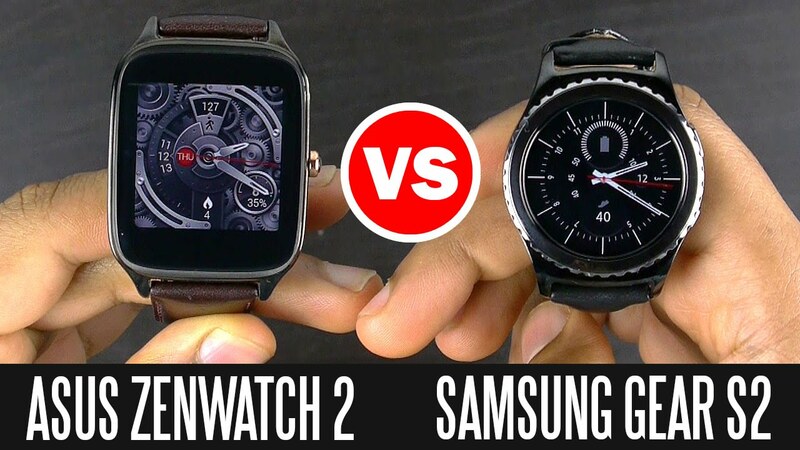 Of all smartwatches presented at IFA, the S2 Gear and Huawei Watch stood out because of their design and ergonomics. Both round and inspired models of traditional watches, these smart watches are really nice and elegant to wear. 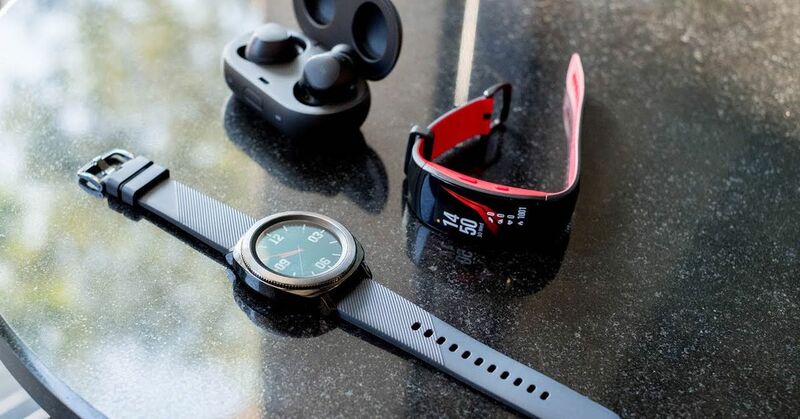 And even if the Huawei Watch is a bit more work and aesthetic, the S2 Gear makes up for it by offering a very wide range of features. Both watches offer many sensors, such as an accelerometer, gyroscope, a heart rate sensor, or a barometer. 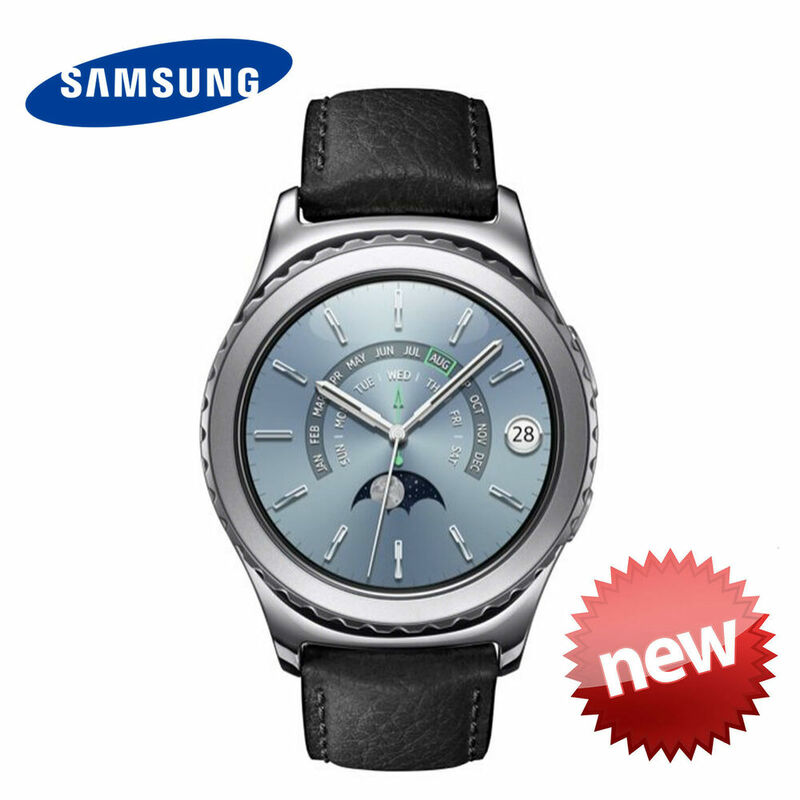 However, the Samsung model is also equipped witha sensor of ambient light as well as a GPS, available on the 3 G model. If the many features of the Samsung S2 Gear can seduce consumers, an small hiccup at the level of the vocal control exists. This problem will be found also on the phone, although S-Voice works best on the watch. However, that’s not yet, order a few difficulties to transcribe accurately set out sentences where this feature works very well with the Apple Watch. 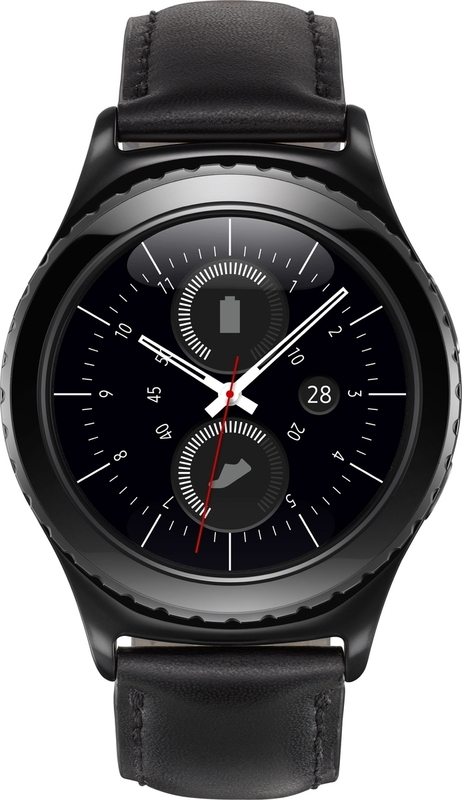 While the Apple Watch can, by waiting a bit, a map to guide you through the voice command, would not be possible with the Samsung S2 Gear, and regardless of the interface on which the user is located. He will have to go to the Maps app in order to dictate the location, and yet, the result would leave to be desired. The watch is already available for 349 or 379 euros in its classic version. 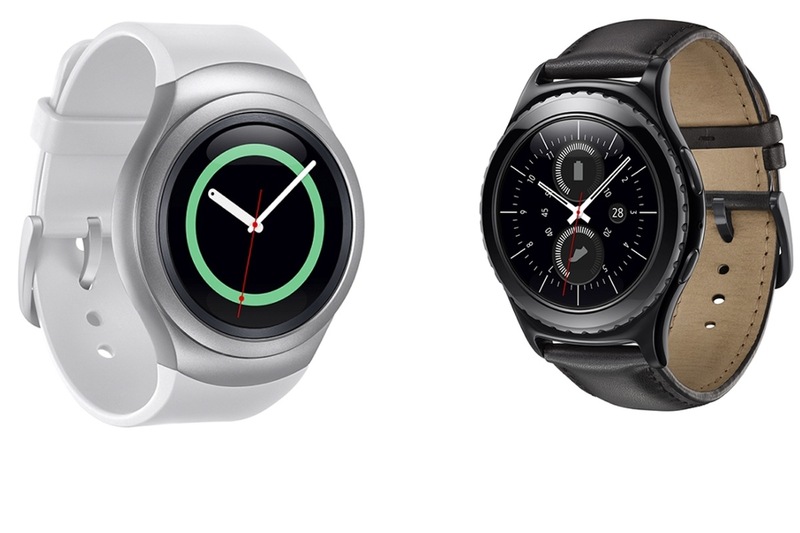 La Samsung Gear S2 à 282€ chez Amazon !